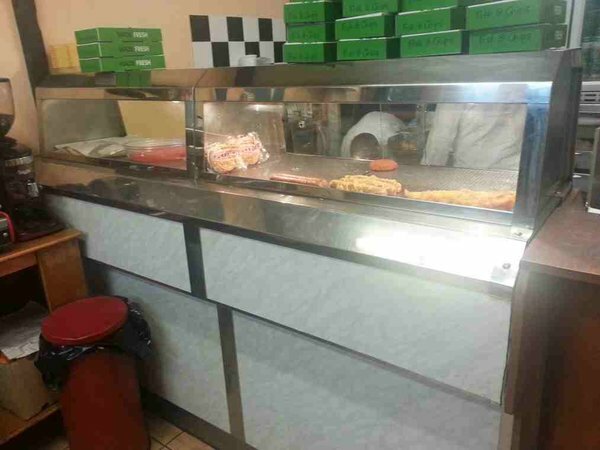 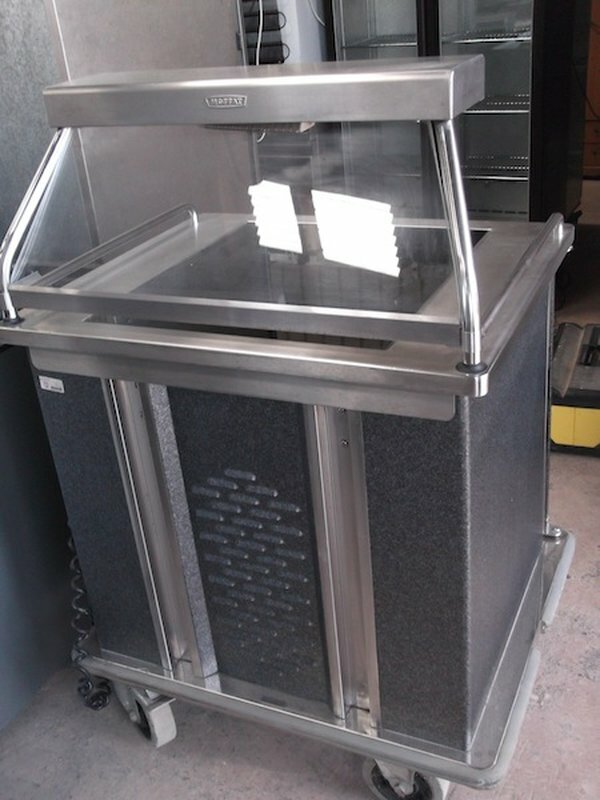 With fan assisted oven, also comes with Stainless shelf with a Falcon Grill! 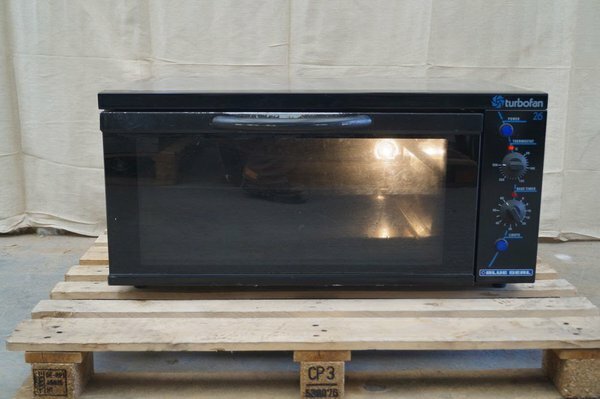 This item is used but in good working order, you will need a qualified engineer to install this for you. 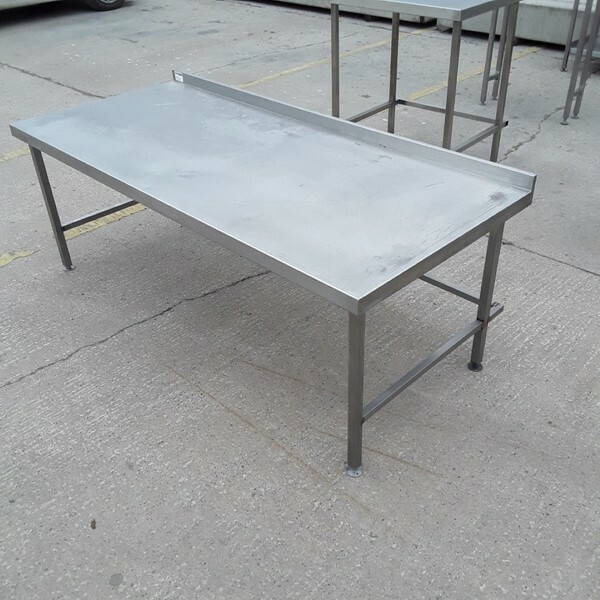 It is 900mm wide and 850 deep. 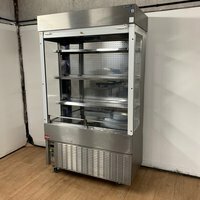 Grab a bargain!! 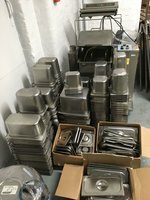 Only £684 for the Lot!! 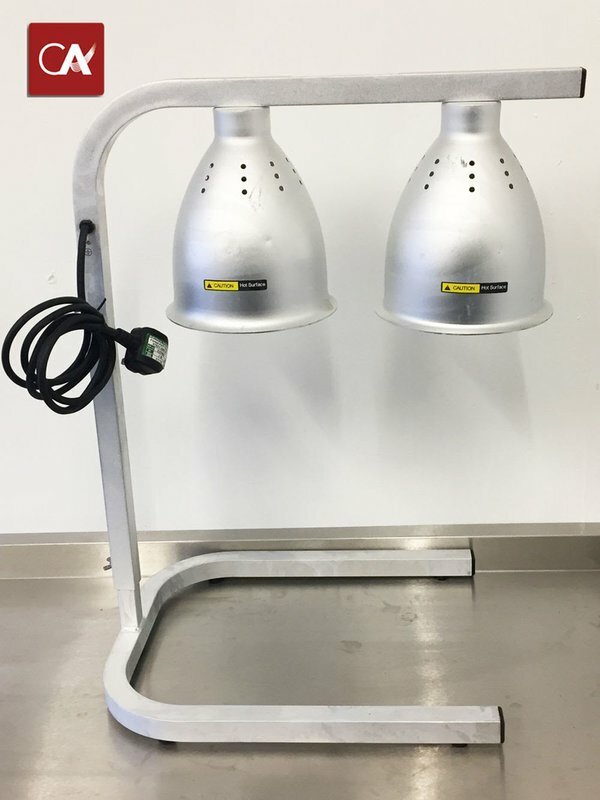 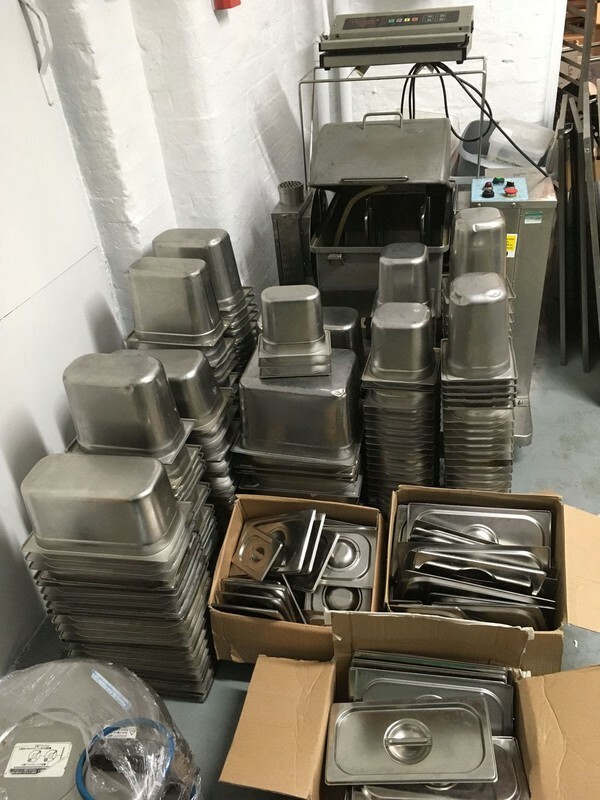 Excellent condition, fully stainless steel construction soup kettle holders. Perfect for self service soups or sauces etc. 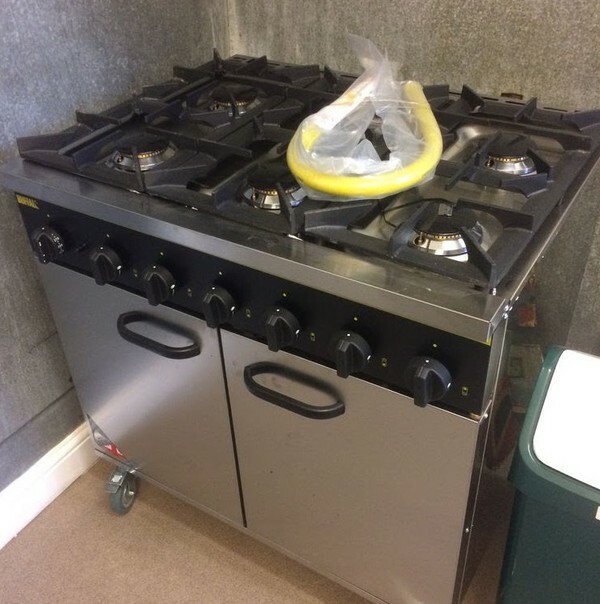 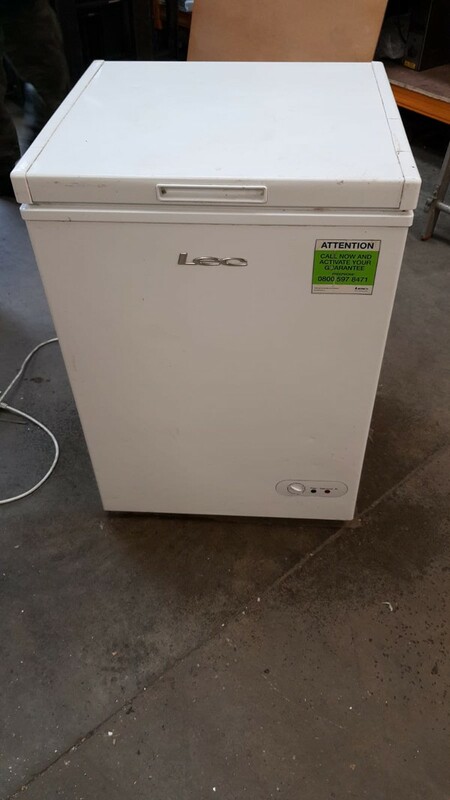 Comes with double plug socket for warmers that are placed on the top. 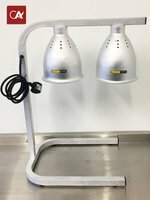 On adjustable feet. 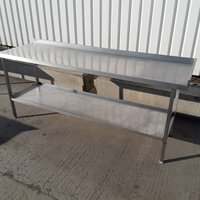 Curved stainless steel valance at front. 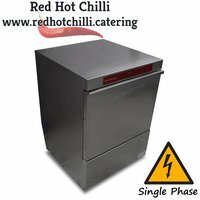 Can be supplied with soup warmers. 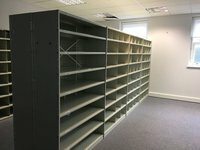 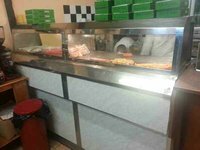 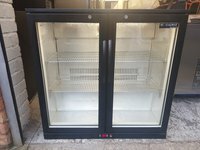 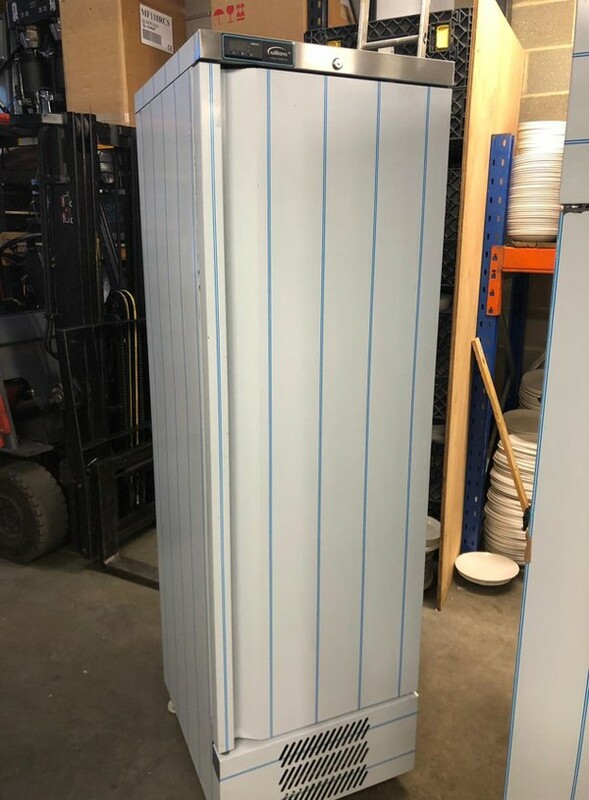 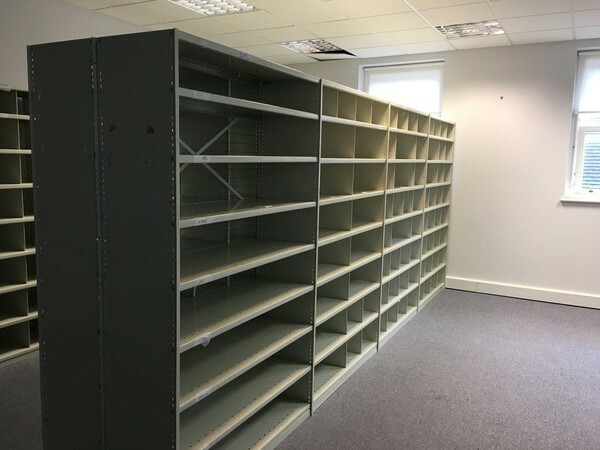 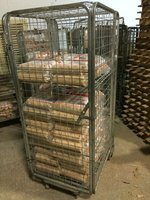 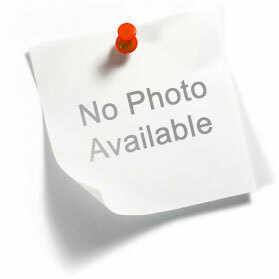 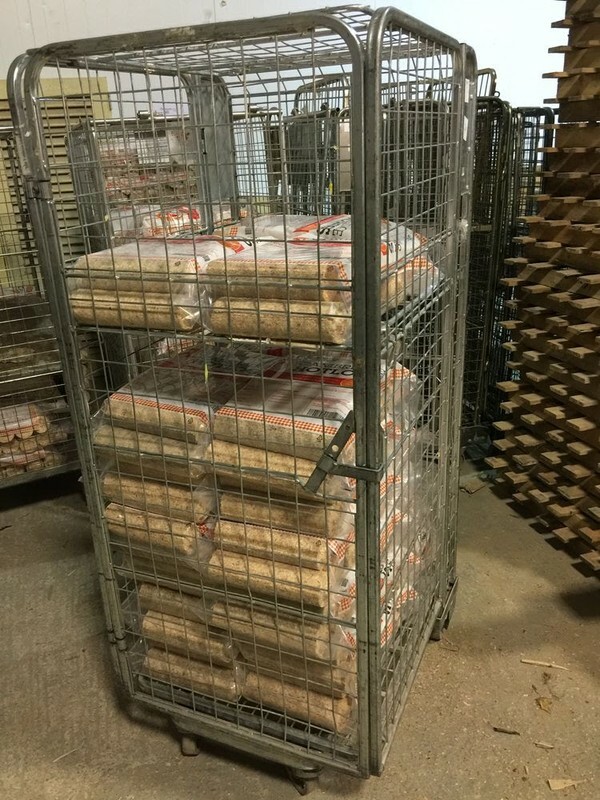 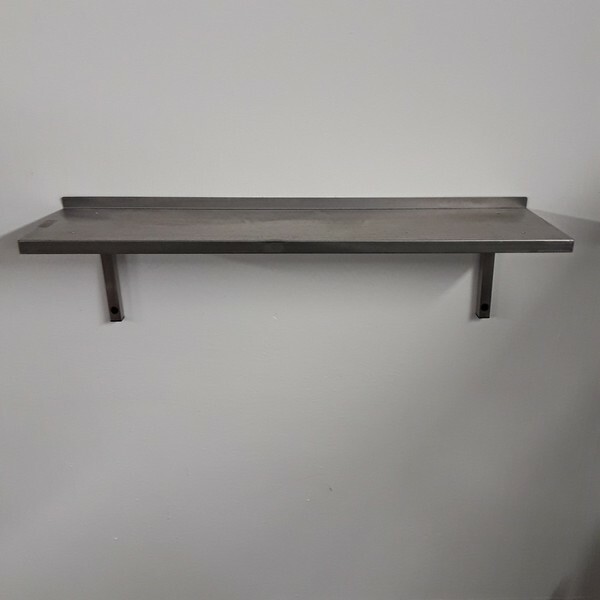 Shop shelving system very good condition selling in lots of 3 sections. 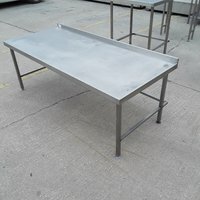 Each section is 200 mm height by 213 mm width by 40 mm depth. 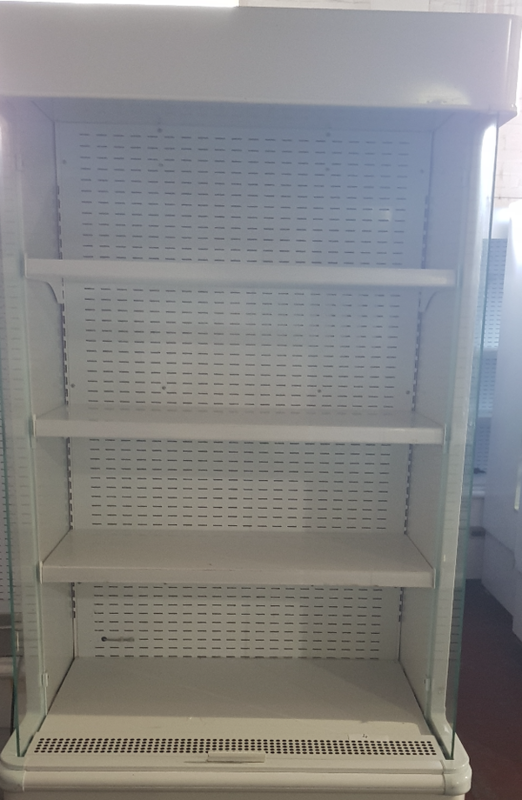 Includes 6 shelves and Wire backing also included as seen. 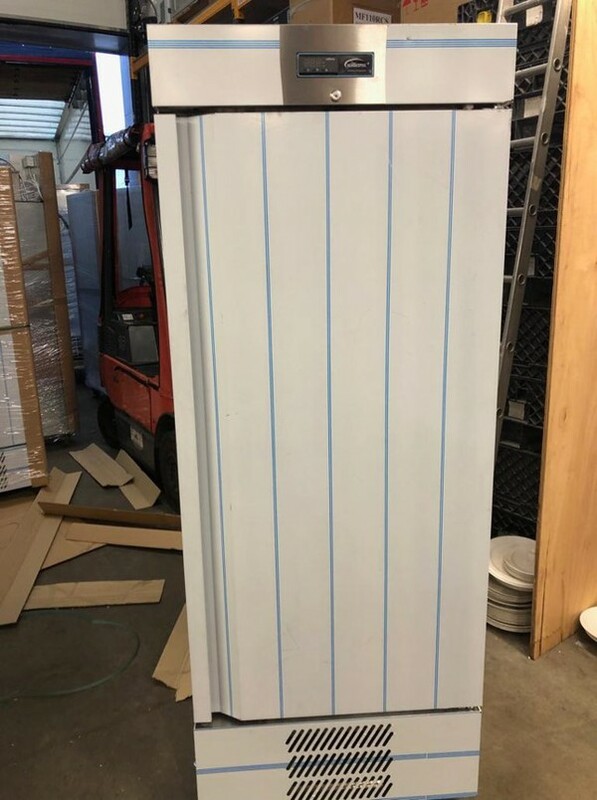 Extremely sturdy. 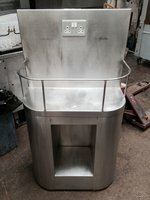 Needs bolting to the frame. 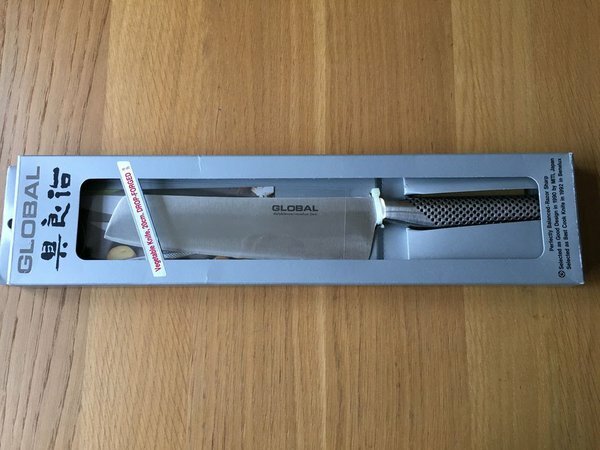 Couple of quid from BQ. 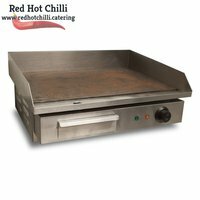 Falcon Pro-Lite electric Salamander grill features six heat settings, anti-tilt shelf, four shelf positions and a cast aluminium brander plate. This versatile grill will accommodate 1/2 Gastronorm pans and has an easy to clean enamelled interior with removable stainless steel drip tray. 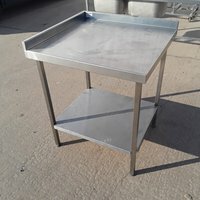 Brand new, full stainless steel constructed griddle. Electronic Control – gives you complete accuracy and visibility over your goods. 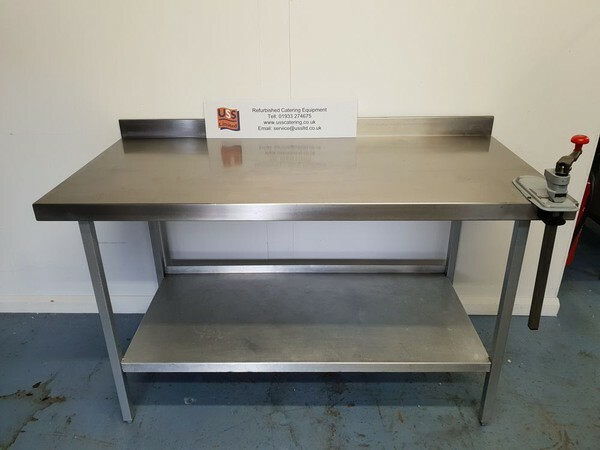 Counter Balance Lid – the lid is cleverly counterbalanced to ensure that it stays open when you want it to and closes smoothly. 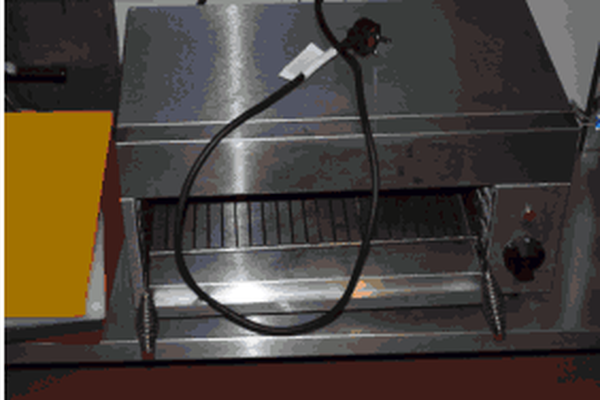 LED Internal Light – an energy efficient light to let you see what you’re doing. 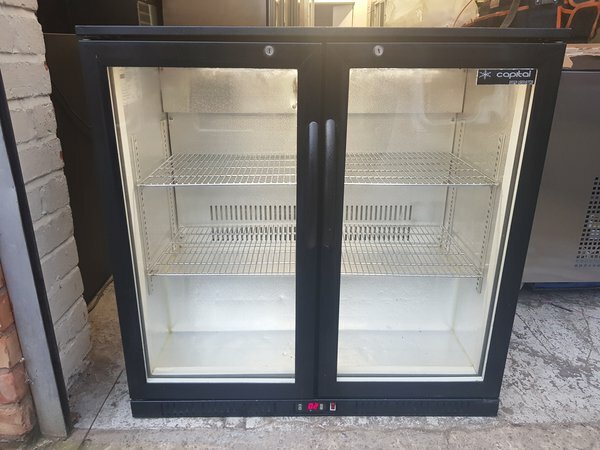 Immaculate condition inside and out, its like new. 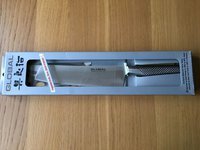 Drop forged 20cm vegetable chopping knife. 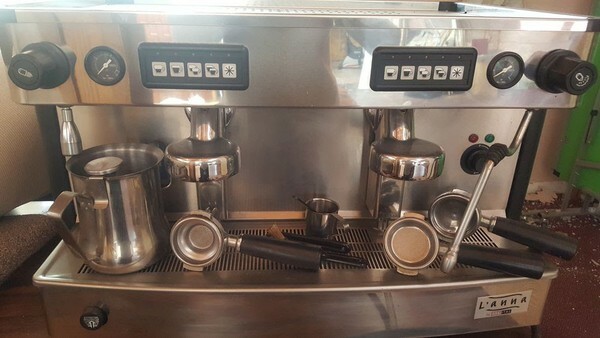 great all rounder. Ex Demo Magimix Le Duo Plus XL Juicer. 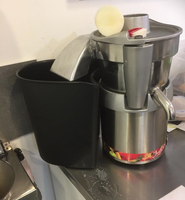 The Magimix Le Duo Plus XL Combination Juicer is capable of a range of functions, including operating as a wide feed juicer, citrus press and coulis maker through the use of a coulis attachment. 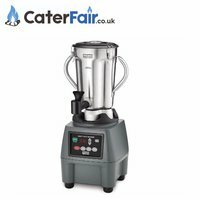 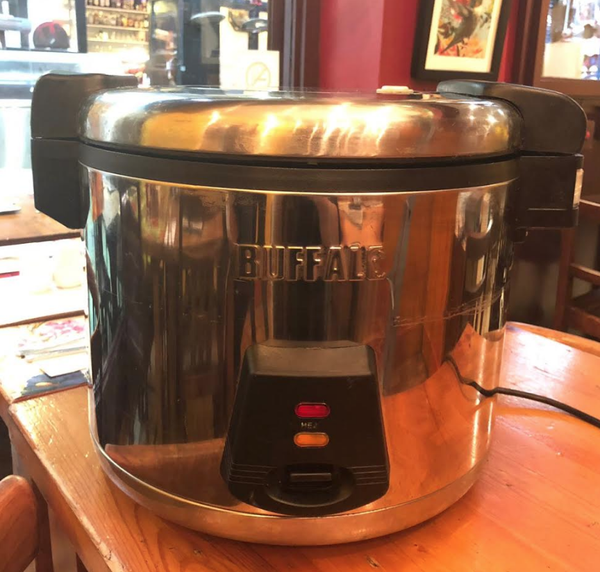 This combination juicer is ideal for all kinds of hard and soft fruit and vegetables and can also be used to purée cooked vegetables for baby food. 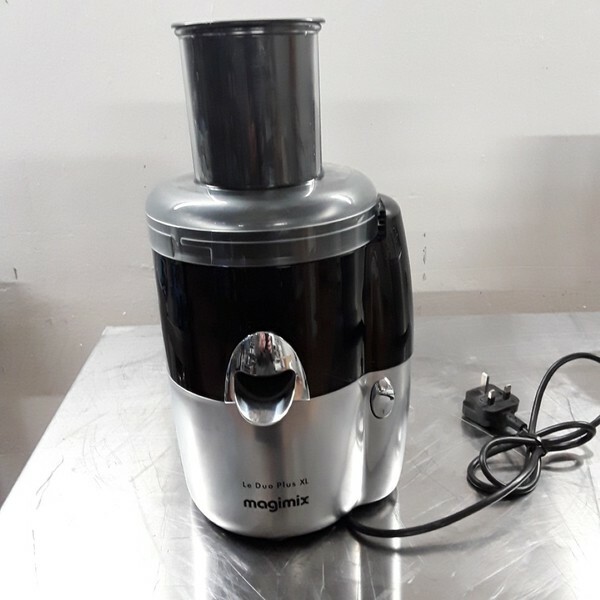 All components are dishwasher safe, saving time and labour during peak service times compared with other juicers, whilst its exceptionally high output of approximately half a litre of juice per minute affirms that this Magimix fruit juicer offers exceptional value for money. 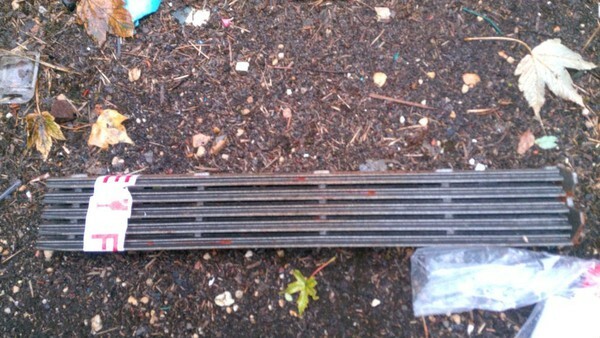 New, never used falcon branding grid, falcon part number 535010013, used on falcon chargrills. 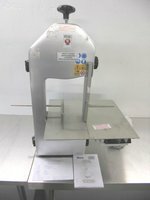 Price includes post and packing via royal mail recorded and this item is heavy. 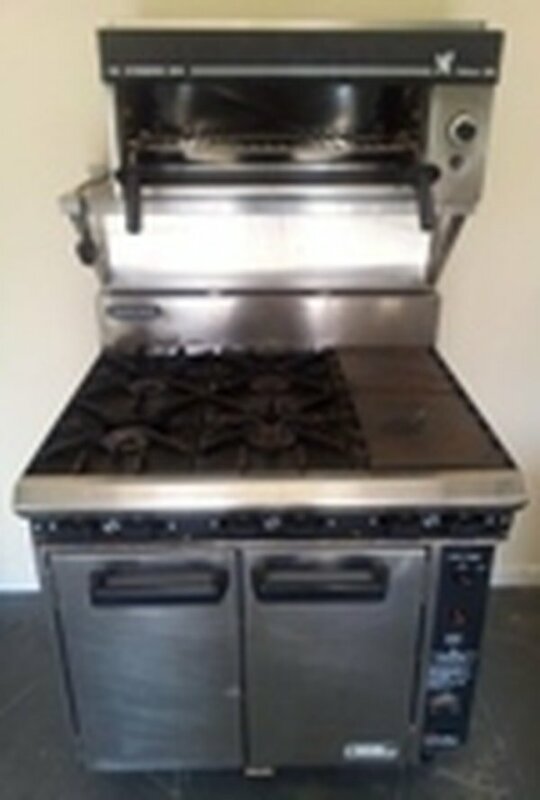 Used but like new and barely used. 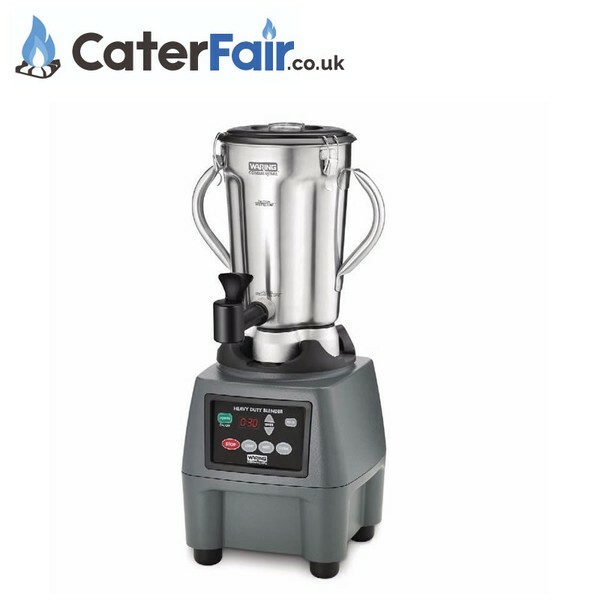 Waring CL586 stainless steel blender with tap, only bought in November 2017 and still covered by manufacturers warranty. 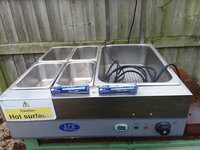 Been re-gassed, new compressor fitted. 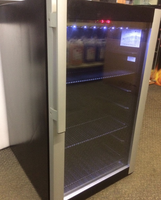 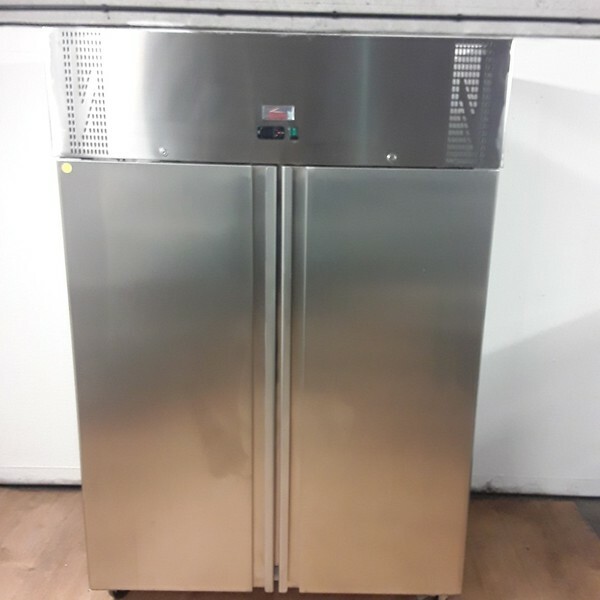 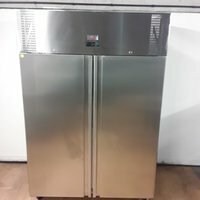 This quality under-counter Bar Aid dishwasher by Hobart is perfect for use within the most demanding of bar and restaurant locations. 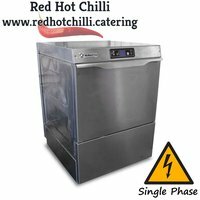 It features two wash cycles and a rack height of 425mm ensuring even the tallest of glasses and plates are cleaned to perfection. 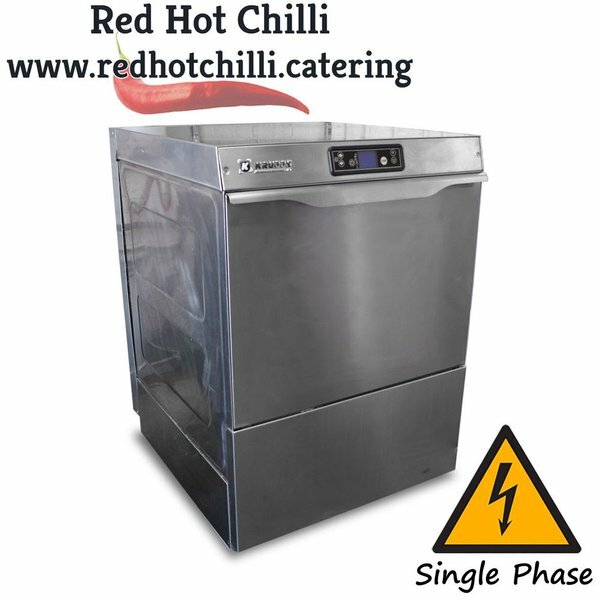 This excellent dishwasher is fitted with a drain pump enabling you to position it anywhere within your kitchen. 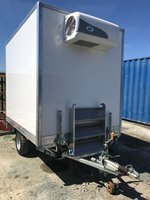 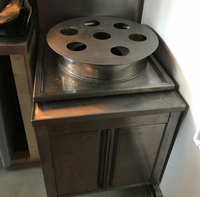 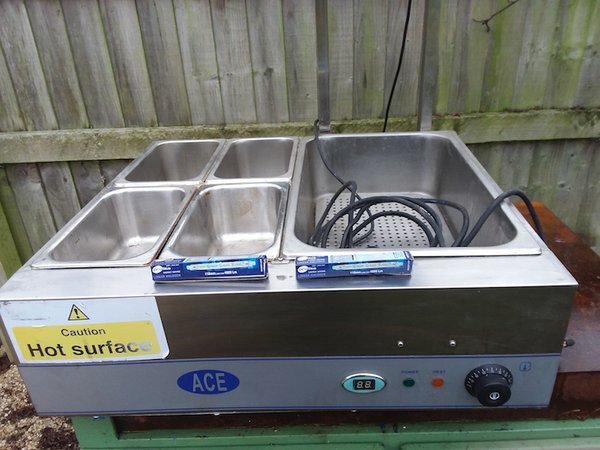 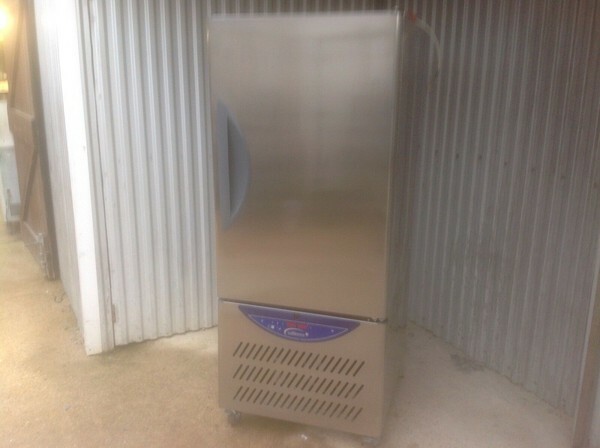 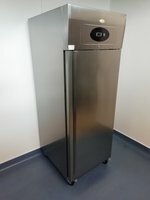 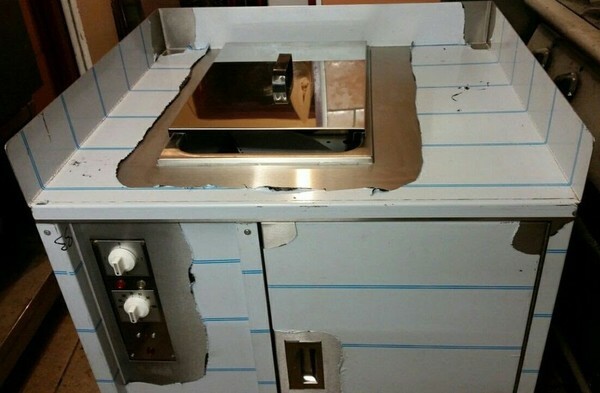 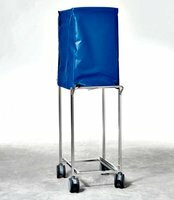 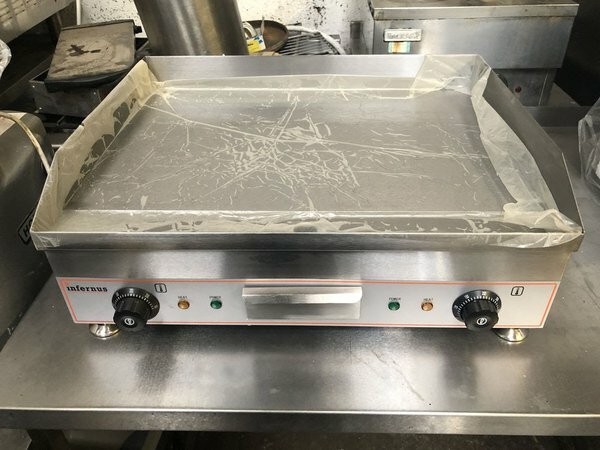 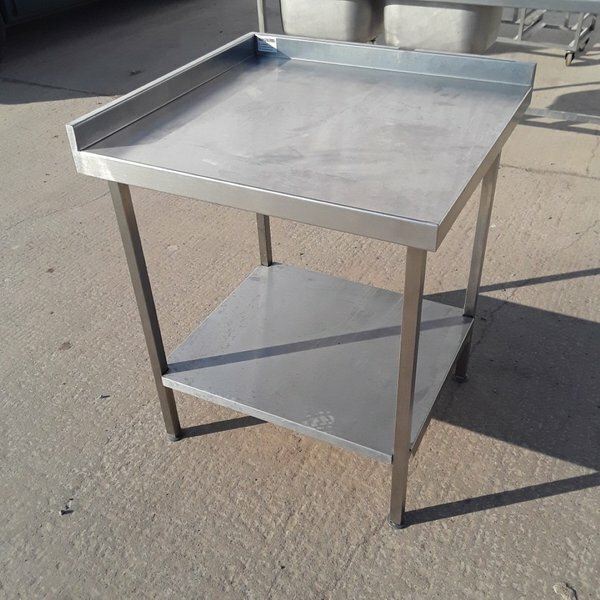 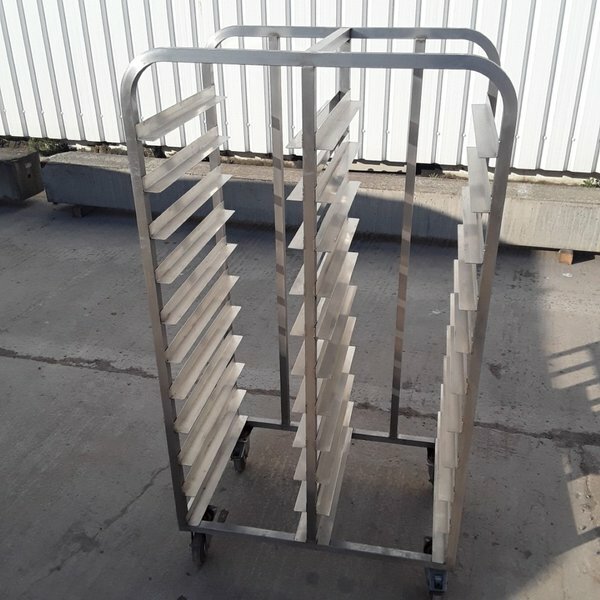 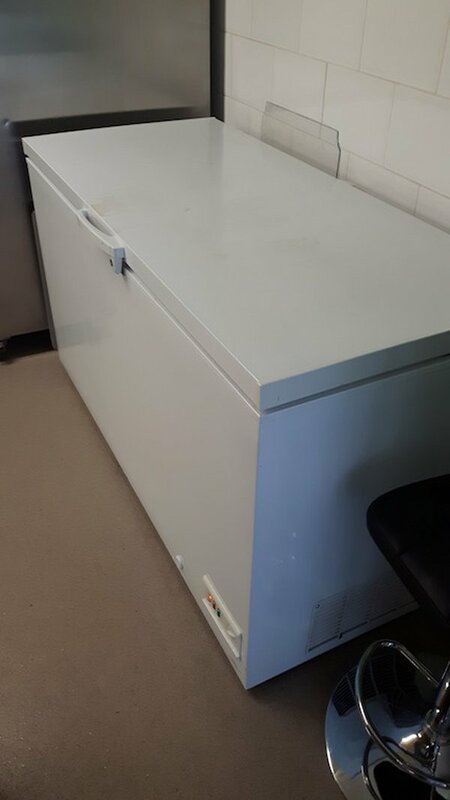 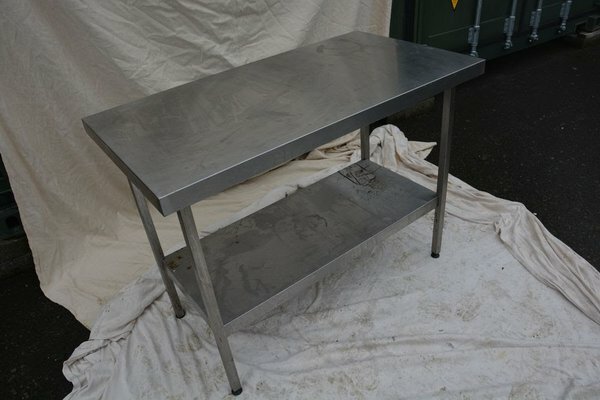 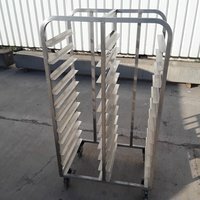 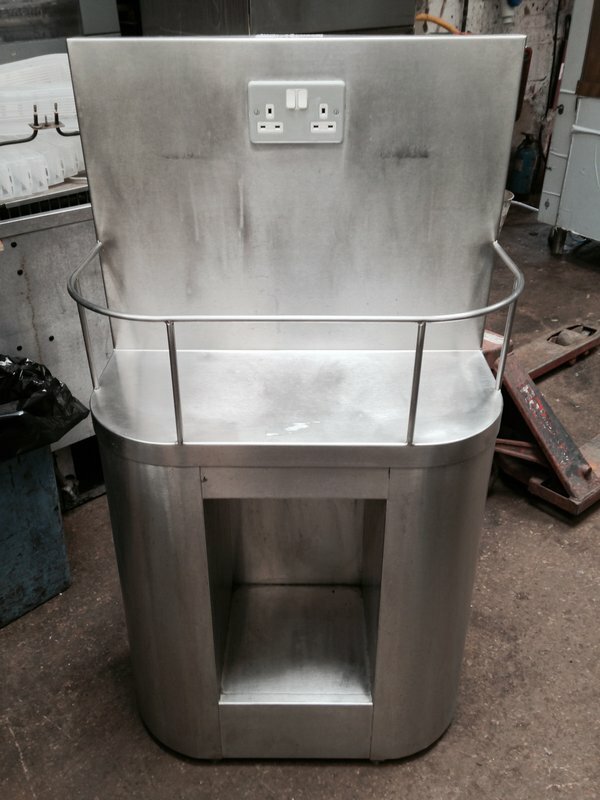 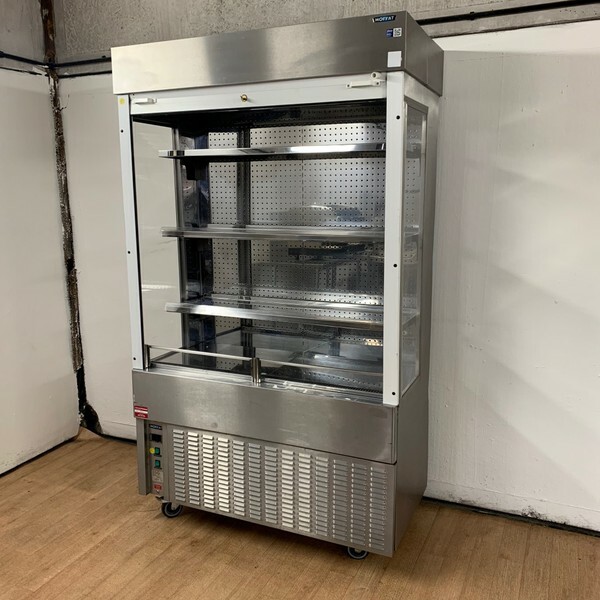 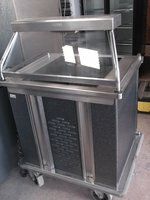 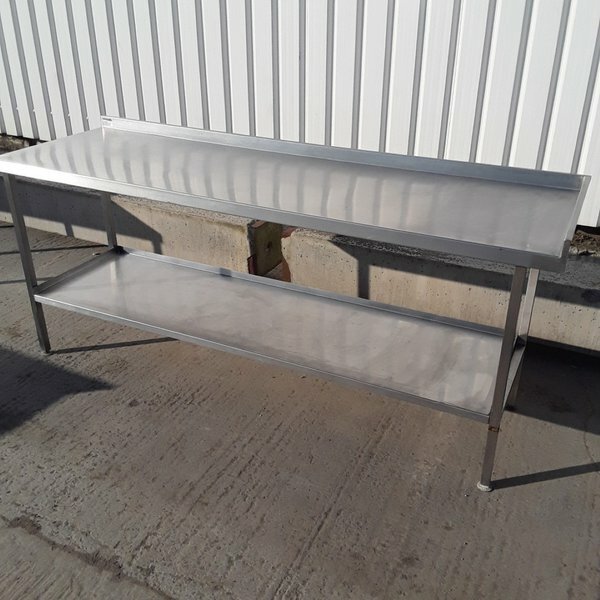 Used Stainless Steel Gastro Trolley.